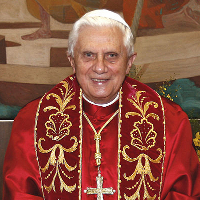 Please pray for the intentions of our Holy Father, Pope Benedict XVI, for the Church militant, for the suffering souls in Purgatory, for the poor sinners who started this blog, and for all of fallen mankind. Lord have mercy on us all. Please pray for the Sons of the Most Holy Redeemer, that their position in the Church may soon be fully normalised. Please pray for our young adult children, that God will protect them from the temptations and dangers of the world, lead them home to Mother Church, and bring them safely at last to Heaven. Please pray for my poor neglected wife and children, and for me, a bad dad. Please pray for the intentions of Fr Blake. Please pray for the trapped Chilean miners. I worry for their physical, mental and spiritual health, as they face four months of discomfort and isolation. Lord, hold them close to your heart. All the Angels and Saints, pray for them, and us all. Amen. Merciful God, we hold up to You all our lapsed, atheist and agnostic relatives and friends. We pray that they may come to know and love You and glorify You for all eternity. Immaculate Heart of Mary, Saint Monica, Saint Augustine and all Angels and Saints, intercede for them, please. Amen. Please pray for the people of Christchurch, who are facing the prospect of strong aftershocks following the main earthquake. Please also give thanks that no-one was killed. please pray for the Contemplative Sisters of St. John, dealing with internal strife and leadership issues; please also pray for the intentions of Sisters Mary Elizabeth and Mariam, who are walking the Way of St. James for the sake of peace in their community. Let us all pray for CP&S, that it might not become the playground of cynical nihilists and their ilk. And that Burro does not punch anyone so hard that they actually do die and thus get himself in a lot of unwanted trouble. And that Rabit will be all right from now on. And continue unassailed by nasty Oriental philosophy. Acherly, I rather like the sound of the cynical nihilists and their elk. Does the elk also like wearing a lampshade on its head? Thanks for your concern, Toad, but the rabit chap has successfully avoided being assailed by Oriental philosophy since about 1981, having flogged the dead horse of teenage oriental fantasy with Herman Hesse’s ‘Journeyers to the East’; then done his early apprenticeship in Rinzai Zen Buddhism; been bored to tears by his father’s lifetime of Yoga and emptiness; and all the rest of the coffee table bookshop spirituality for many years. This included a five year fixation with guiding my life according to the I Ching, while drinking copious quantities of tarry flavoured tea. None them ever realised that the Western mind is quite different, and they would never benefit from such practices even if they were worth persevering with; and most enthusiasts don’t persevere anyway. Luckily, Catholics are not so confused. “Ecce homo, ergo elk.” (Monty Python, circa 1969.) Nothing has changed since the Son of God arrived to explain in the simplest terms – to even the thickest of us – that the Incarnation replaced man’s primitive struggle to invent spiritual responses to life’s questions. CP&S was set up to be a home for those who love sound doctrine. We will not readily fall for syncretism, even if your jibes imply a primitive rejection based on ignorance, rather than a learning experience that concluded long ago that baptism was a commitment to the Incarnation, for which there is no alternative. It’s a Catholic blog, toad. Like it or not. Sorry, forgot to pray: God shine the light of your countenance upon the cynical nihilists (and their elk) and quell the fire of egotism and the darkness in men’s hearts. (And women’s hearts if your language is not yet updated with the new inclusive terms.) Thank you Lord. Sorry, Lord: once I get praying I remember all the prayers I didn’t pray when I forgot I was meant to be praying constantly; so please remember Dave, getting ready to start in Rome very soon; also remember in your Kingdom the man who was a monk and who is now also heading for Rome to start priestly formation, who needs your help because he’s getting on everyone’s nerves and he’s prolly a nice man really; and also give strength to the Catholic men of my local village, none of whom attends the Sunday Mass, so your poor rabit servant is the only male in the congregation. Amen.
. . . with Elks, is that, unlike Rabits, they do not have big floppy ears that they can pull round either side of their heads to act as blinkers to prevent any other sort of wisdom (such as that of the mystic East) apart from Catholicism, from entering the, admittedly tiny, gap between said protuberances. But – elks do have big antlers, on which a small and careless Rabit might become fatally impaled. Without wishing to come across too Uriah Heap, please read my humble, non theological latest post and offer a prayer for our family situation. With grateful thanks, a very sick pidge! Be assured of our prayers pidge – both for you at this time, your husband (and welcome home to him) and all your family at what must be a time of great uncertainty. If my prayers are of any use, I wish you receive some great consolation, tonight. Blondepidge, God bless and keep you and your family. My thoughts and prayers are with you. Dear friends, please pray for a poor lady named Maria Jean who is suffering indescribable torments, but is offering them all up for the purification of the Church. Please, please remember her in your prayers. Please pray for Brise, a 22 year-old Cameroonian student, the leader of the French Choir in the Catholic Parish of Our Lady of Good Hope in Moscow. Brise is suffering from cancer and is currently in hospital undergoing treatment. His mother is dead I think; his father is an illegal immigrant in Paris and with no papers, cannot visit his sick son. Please also pray for Father Michael Ryan, the parish priest, who raised the money for Brise’s treatment, and for the Sisters of The Missionaries of Charity, who visit him regularly in hospital. Please pray for the Sons of the Most Holy Redeemer, who seem to be beset by the Enemy at this time. Please pray for Toad and for all those who are mourning the death of a loved one. May the Lord comfort them in their grief. My sister is in the depths of addiction to alcohol. Of your kindness, please pray for her release from this deceptive source of false consolation. Thank you. Please pray for the people of Southern Sudan as they prepare for a referendum on independence in the coming week. Please pray for the repose of the soul of Martin. Please pray for my daughter, her husband, and two sons in Brisbane. They have not yet had to evacuate, but they are close to the area that has been evacuated. Please pray for all those affected by the devastating flooding. Please pray for the people of Japan, hit by an earthquake 8,000 times more powerful than the one that devestated Christchurch. Please pray for Homer, friend of Toad, for whom Toad is now out pilgrim-ing. Please pray for Hilary White. (Litany of Special Prayer Intentions): Through Mama Mary’s special prayers and most powerful and never failing intercession, that all the Holy Guardian Angels present at all the Holy Masses celebrated throughout the whole world each and every day in perpetuity that each and every Guardian Angel may bring a soul out of purgatory, bring about eternal salvation for a dying soul, and a miraculous conversion for a lost soul each and every day, and that all people choosing and living a celibate life, especially Priests, Religious, and the Consecrated, that each and every day of their celibate life that souls be released from purgatory, eternal salvation be achieved for the dying, and that lost souls be miraculously converted each and every day, and with ceaseless prayers for the sanctity and purity of the Church and world, the souls in purgatory, the dying and all humankind, and each and every day through Mother Mary’s ceaseless intercession may many souls in purgatory be released, the dying be brought to salvation and many people be converted, and the world and Church be purified, so that more and more people come to live in Christ and that no more souls be lost. Please pray for all those who have started their spiritual journey to full communion with the Holy Father in the Ordinariate and pray also for those who still have yet to resolve to begin their pilgrimage. Please pray for Father John Corapi, his accusers and those responsible for investigating and resolving the distressing situation he is in. May St John Vianney, and Our Lady, Mother of Priests, intercede for them! Please pray for a family I love, who left Regnum Christi two years ago in horror at the Legion’s failure to deal with the shocking behaviour of their founder, and the movement’s refusal to admit that anything was wrong. They have now the faith altogether. They say they no longer believe in God. May they continue their journey until they find their way home again. 1) O Eternal Father, through Mama Mary bring Your beloved creation into the Kingship and Lordship of Jesus Christ and renew it in the power of the Holy Spirit so all people may bow their knee and confess with their lips that Jesus Christ is Lord, so He may truly reign in all hearts and all of creation. 2) That Alexander Chung’s spiritual direction and discernment, all his schooling and education goes extremely well. That he passes all the courses he takes with very good marks and that his desire for the Priesthood continues to grow, so that he become a good, prayerful, joyful, faithful, and holy Priest. For my brother’s deep spiritual conversion and healing, especially letting go of the resentment of priestly abuse, and that he have a repentant and forgiving heart, and through Jesus, Mary and Joseph for abundant and ceaseless blessings on his marriage so that he and his new wife come back to the Church with love of Christ and the Sacraments, and for the repose of the souls of Robert Lee, Francois Latour and Franz Bydlinski. 3) For the intentions of Brother Craig of the Monks of Adoration, especially for abundant vocations and constant growth for the Monks of Adoration, for Father Daniel’s intentions, especially for the establishment and continued growth of The John Paul II Centre for Divine Mercy, and for a Church dedicated to Perpetual Adoration in Ottawa, Ontario, Canada, and that The Marians Of The Immaculate Conception Of The Blessed Virgin Mary grow rapidly, abundantly and faithfully, and spread into Canada and other parts of the world. 4) For the end of abortion, for the culture of life to prevail in our hearts and the entire world, for peace in our hearts, families, and the whole world, and for the Laws of God to prevail in our hearts and entire world, with ceaseless prayers to Jesus through Mary that planned parenthood be miraculously transformed and converted, so that planned parenthood become a powerful, abundant and growing institute of life for the Roman Catholic Church, and for abundant and ceaseless vocations for the Priesthood, the Religious and Consecrated life, and for the sanctity of marriage, and for the conversions of all atheists, nonbelievers and pro-abortionists, and for deep continuing conversions of all people, for all lukewarm Christians to wake up and for all people, especially other Christians to be led to become Roman Catholic. For powerful, abundant, growing, ongoing and lasting conversions and transfromations of all political leaders and politicans, and for all judges and lawayers, and especially for Dave McConnell, Gilles Latour, John Latulippe, Paul Crooks, Jean-Pierre Mercier, Bill Maher, Paul Zackary Myers, Richard Dawkins, Christopher Hitchens, Sam Harris, Daniel Dennett, Cecile Richards and Dr. Henry Morgentaler, and for all people of God’s creation. Please please pray for us to speedily sell our son’s house. It is part of his estate–he was killed a year and a half ago in in a military aviation accident and it has become a financial and emotional burden to us. With all the awful things going on in the world that we should pray for, it hardly seems right to ask, and yet we are desperate enough to beg your intercession on this Divine Mercy weekend. I keep all your prayer intentions in my heart–and as I go this morning to my Holy Hour I will place them on the altar. Thank you you all for your prayers. Please pray for good practicing Catholic husbands for Margaret, Patricia, Sandra; for end to all fears, fear of commitment/marriage/debt/sharing, bad temper & total conversion of heart for Emile. For God to inspire him concerning a decision he must make — may God put the answer very strongly in his heart, mind and spirit and give him great joy and peace at the very thought of the decision. May he realize that when one accepts to do God’s will, God equips that person with all the necessary gifts and graces to carry it out in joy and peace. For the sanctification of all priests & religious, for Pope Benedict’s intentions; for peace in all hearts and homes. May God’s will be done by all. Thank you. Fiat+, find a picture that you think would represent you well online (I chose one of my favourite patrons) and save it to your computer. Sign up for an account (its free). To do this, click on “Get your gravatar today” then follow the instructions. It’ll take a couple of hours, but then you’ll find your chosen image following you around and popping up whenever you comment. Please pray for the repose of the soul of my grandmother, Doreen, who died this morning. Please pray for all the married couples.Let them love,bond,respect & care for each other forever & have healthy children.Thank you for praying. I Pray for all positive moments that will move us forward to be closer to and for His plan through salvation and redemption. I Pray for all the new beginning people and spirits and souls where ever they may be., in God’s name, through Jesus, Amen. Please pray for Fr. Cyril’s healing & intentions;healing for Michel; quick sale of Sophie’s house;inner healing for E. & God’s will to be done; healing for Stefanie & conversion; change of heart for E.; conversion of all young adults, esp. Tanya,Brendan,Alexis,Stef,Jason,Michel; God’s will to be done in my life. Thank you. Our Heavenly Father, hear my Prayer. I Pray for those who can not. I Pray for those who have gone before me and may not be able to Pray. I pray for my own short-comming and that I may grow from my current child-like Prayers to become closer to Our Heavenly Father through Our Savior, Jesus. Amen. Please pray for Fr John Hunwicke at a time of great spiritual need, distressing to all his friends and admirers. For further information, please see his own blog. Please pray for all the married couples to love,bond,respect & care for each other forever & have healthy children.Thank you for praying. Please pray that I may receive a POSITIVE result in my migration assessment. This is a very big thing for me and my family. Thank you all in advance and God bless us all. Please remember Brother Patrick in your prayers – he will be making his First Profession as a Benedictine monk tomorrow – the Feast of Sts. Peter & Paul. Please Pray for all of those who lead and set an example of what we all should do as to place God through Jesus in our Hearts. May God Bless all of you in and through Jesus Name, Amen. Please remember me, the most unworthy of sinners to Blessed Giorgio Frassati. I face a serious situation with prostate cancer. And I am afraid not so much for myself but for my elder brother who has Parkinsens and who faces life without me his caregiver. May God Bless you Nycholaij. I ask Our Blessed Lady to hold you and your brother very close as only a Mother can. Be assured of our prayers. Please pray for me, I need green card for USA, I NEE A JOB…THANKS! Please pray for Bishop Michael Evans of East Anglia who is on the final part of his journey home to God. Please remember on this day the Catholics of Northern Ireland and the terror attacks made on them. Also the people of Iraq and Afghanistan. Please pray dear friends for my beloved mother who has been diagnosed with cancer. Please pray for our Priests, especially those suffering at this time. Remember the people of Norway also in your prayers – those who have lost loved ones, those who are traumatised, and those who care for them on this sad weekend for this peaceful nation. Please pray for a woman in the ICU who has end stage lung cancer. Her elderly mother (who is also on oxygen) and her adult special needs son live with her. May St. Joseph intercede on her and her family’s behalf. Please pray for the people of Greece, who, through no fault of their own, are suffering in these times of economic hardship. Please for for me and my family. I have been unemployed for two years. I am desperate for a job. I have a daughter. My husband and I are not on happy turns. I have exhausted all my resources and I cannot feed my child. Dear Lord please help me find a job so that I can care for my family. Please pray for Father Mike who is in his early forties and is on life support. Prayers are asked in particular through the intercession of Blessed John Henry Newman. Prayers, please, for the repose of the soul of Father Mike who died today on the Feast of St Michael and the Archangels. Please pray for me and my husband and for our marriage. May God protect us with His Love. Thank you. God Bless You! Please pray for me as I look for a new job after recovering from alcoholism. I pray that the Traditional Mass will return to Los Angeles. I hope to one day be active in a Traditional Organization. I thank Saint Joseph, Our Lady and Saint Philomena for their intercession. Please pray for the repose of the soul of my darling mother who died on 3rd January (having received the Last Sacrament) after a short illness. Her four children were at her bedside. I am so sorry to read this, K.
How wonderful that all four of her children were with her, and that she received the Sacrament. They are so attracted to this materialistic world and are so far away from God..
he has left the church for so many years and he has turned to other gods.. He is now old and very unhealthy.. I pray for God’s mercy to grant him more time for his repentence and his returning to the church..
may God grant him wisdom to distinguish between right and wrong, courage to repent and strengthen his faith in Him. May God grant Uncle William the grace to look kindly on Audrey. Please pray for the repose of the soul of Geoffrey Heywood who died tragically and alone. May he rest in peace. Please pray for Edward (aged 28) who has been diagnosed with terminal cancer and for his distraught family and friends. Please pray for Edward who went to the Lord peacefully yesterday, 18th March. May he rest in peace and may his family and friends be comforted in their grief. Thank you Saint Joseph on your Feast Day!! I have no especial charism for prayer — therefore I supplicate those who do, living and dead, including Saints James and Mary, the three priests of western France, and all my good friends in Christ of this blog and elsewhere, to supplicate our Lord for a remission of my ongoing physical sufferings. Be assured dear Jabba (you, who have contributed so very much to this blog) will be very present in the prayers of all of us here, your “good friends in Christ“. Prayers for strength, comfort and endurance, and (if it is God’s Holy Will) for a remission of your “ongoing physical sufferings“. May Jesus, Mary and Joseph keep you always in Their tender, loving care. May God Bless you always. blessings on you, Jabba. A candle burns for you this day before La Guadalupana at The Peaceable Kingdom for your intention. You bring so much joy to Dear Toad and all the other seekers at CP&S! Toad is worried about Jabba. Does anyone know if there is any way in which we might help? I´m with Toad here. I do hope Jabba´s ok. Thank you for your kind thoughts and your prayers — I have been suffering for various reasons for a fairly long time now, and these prayers are the best way that you could help me. I ask for myself only necessities, otherwise according to the wishes of the Lord, not according to my own. But have you got the necessities you need? Apart from enough strength to attend Mass, I’m not lacking any basics. Let us please pray for the corruption, violence, destruction taking place throughout the world. Let there be peace and unity amoung the nation. Let us also pray for the poor souls who are struggling for their daily bread and also for the souls who are fighting and batteling their life with either sickness or old aged. Lord hear our cry and answer the prayers of many. For all those in financial destitute and looking to find refugee. Pray that they find peace of mind and comfort in his name. Of your charity please pray for the repose of the soul of Phyllis Bowman whose tireless defence of the unborn has been pivotal in the Pro-Life movement. Please pray for the repose of the repose of the soul of Nancy Luo who was a loving mum and wife. please pray for my brother to get a job in our hometown, so he will no longer go overseas for such opportunity. living away from his family poses some challenges and also my elderly parents need his physical presence for assistance. May God bless his family, provide them, shower them with graces to overcome and pursue these new changes in their life. PRAY FOR MY FAMILY FRIENDS AND ENEMIES THAT OUR HEARTS WILL BE CHANGES . FILL ME WITH LOVE AND FORGIVENESS HELP ME TO TRUST WHEN I FAIL TO TRUST U FATHER GOD. YOU EACH OF OUR NEEDS THANK YOU FOR ALL THINGS EVEN WHAT LOOKS BAD YOU KNOW THE WHOLE PICTURE TAKE AWAY ALL NEG FEELINGS. Please pray for me and my family, in all our needs and for our finances. Please pray for each and every member of my family, may God keep us all safe from all harm, at peace with each other and above all healthy. In a special way please pray for my special intentions. Praise be Jesus, now and forever more. Please pray for the soul of Michael J. Vanderhoof. Marciful father please grant him forgiveness and allow him to find the light. Amen. I would like to Thank Our Blessed Mother first of all for bringing me back to her son Jesus and renewing my love to My Lord & My God! I have several people to ask prayer for. Please Mother Mary with all your legions in heaven…Interceded that I may not lose my soul to hell and that God may have Mercy on my soul…please also pray for my health and for Teresita blas & Maribel Vega, Paul Bermudez, Bill jordan and family…They asked for special intentions today. I also want to ask The Holy Spirit to keep all my family, relatives n friends close to our Catholic faith and babtize all there children in the faith. Amen…. Dear Lord, pl.be merciful yo every member of my family. most of all I want all of us belong to you. Lord, pardon & mercy, forgive & purify, convert & transform, strengthen and anoint all of us, those for whom we’ve promised to pray, those who are in need of our prayers, those for whom we have hurt and use us for your Glory. Bless MF, NM, NN & JS, grace to participate in the Holy Eucharistic Mass, receive Jesus in the Holy Eucharist, submit themselves totally to Jesus. Good job to EF & Mil. Gift of a child to a couple. Healing of week lungs to GF. Healing of all ailments of Angela(6 yrs).Bless all our enemies more than you bless and convert them. Help me find lost valuables soon. Help Mabel improve her health, especially week memory. Please pray for: the return of our two sons and their famililies to their Holy Catholic Faith. Pray for forgiveness & reconciliation & renewed love and respect between our three sons. Pray for conversion of America and the world. 4) Gift of a child to Joe/Mich soon. Grace for all of us to live a holy life for the Glory of God. Good Health to my family members. Cure my daughter’s skin disease/allergy. Peace at home and peace of mind. Successful in my life and in my job. To have my own house. To complete the construction of my house in goa without much hinderances. Protecting my family from all enemies and evil spirits. Protecting my children in school and be GOD fearing and obedient children. For filling my family members with your Holy fruits & Holy Gifts. Peace among our brothers & sisters and all family members. Pray for the world, pray for me and you. Please pray for me and my lapsed Catholic husband. He has abandoned me after 30 yrs. parish give me great comfort. I ask everyone only to live me up to the Lord. Please pray for the intentions of the Holy Father for the month of October 2012. GENERAL INTENTION: New Evangelization. That the New Evangelization may progress in the oldest Christian countries. MISSION INTENTION: World MIssion Day. That the celebration of World Mission Day may result in a renewed commitment to evangelization. Dear friends, please pray for my family’s difficult financial situation. God have Mercy. Please pray for the swift recovery of Fr Hunwicke of the Ordinariate, who is recovering from a fall. A prayer , and a candle or two lit for our mutual friend Jabba might not go amiss. He’s not saying much. But. “Prayer Intentions”, what a wonderful subsection to the main website! I shall view this page regularly and do what is asked. My heart goes out especially to those who are humble enough to tell of personal troubles. That takes real strength of character, never mind the “firewall” of anonymity. Some people – not saying who – suffer more than a little from the sin and weakness of pride, and have extreme difficulty lowering their guard, thereby depriving themselves of the prayers of the faithful. And please pray for Alan and his wife and all of those in danger from the floods. Lord, form these Catechumens, and reveal unto them the mysteries of the Faith, that they may be counted among the members of Thy Holy Church at next Easter Vigil. Please pray(2012,2013..??) with us daily for recovery!God’s Healing,Protecting Peace & Hope in our Broken Hearts,Health and Shattered lives made worse by severe financial misery! Please pray for a dear friend of mine who is recovering from surgery this week. She has been diagnosed with a serious illness. Please pray that her affliction has not spread very far and her treatment will be successful and that she will make a full recovery. Please pray for her friends and family. Please pray for all those who are dealing with the shock of being diagnosed with serious conditions while still young and healthy. …died this past Wednesday. Age 91. Into Thine Hands, O God, we commend the body and soul of our brother and friend, with complete trust in Thy compassion and mercy. Thy will be done. For the victims, living and dead, of yesterday’s Connecticut school massacre. Lord, hear our prayer. “Dear Lord, pl.be merciful to us all. Pardon & mercy, forgive & purify, convert & transform, strengthen and anoint all of us, those for whom we’ve promised to pray, those who are in need of our prayers, those for whom we have hurt and use us for your Glory. Bless MF, NM, NN & JS, grace to participate in the Holy Eucharistic Mass, receive Jesus in the Holy Eucharist, submit themselves totally to Jesus. Good job to EF & Mil. Gift of a child to a couple. Healing of week lungs to GF. Healing of all ailments of Angela(6 yrs).Bless all our enemies more than you bless and convert them. Help me find lost valuables soon. Help Mabel improve her health, especially week memory. Please pray for me..to get healed soon.. Please pray for C, who will be operated on tomorrow and please pray for me. For the victims of the Laundry slave labour scandal sweeping Ireland. May those poor girls rest in peace for they did no wrong. Pray for them and for Ireland. For the skier missing on a mountain very close to the one my dear brother, Robert fell to his death from in 1987. For a 14 year old member of my parish on life support at Sick Children’s Hospital in Toronto. May God bless Margaret Thatcher and have mercy on her soul. and relief from Severe Financial Misery which is making our recovery so much harder! your daily prayers and God’s Mercy! Please let us not forget in our prayers the women affected by the Gosnell case in America. Whilst not forgetting the sanctity of the lives murdered, these women too are suffering both from their actions, and the consequences of their actions. …like Brubeck, a Catholic. Unlike him, a cradle Catholic. Both of them brought so much joy and love into our weary world. If I should be a bit more circumspect in my prayer intentions, I welcome a kindly word of advice on the main blog in that regard. This thread is far too important to be cutting a bella figura. Please pray for the repose of the soul of my beloved brother, Robert, who died in an accident on Eagle Mountain 26 years ago this Wednesday. 1. Through the infinite merits of Christ and His Divine Mercy and through the intercession of Mary and all the Angels and Saints and the Souls in Purgatory, that all of us receive the special gift of the Living Seal of God and a double portion of Mary’s Spirit, so that we may all live in the fullness of Love, to follow Christ without counting the cost and love as God Loves, and that Mother Mary, Our Lady Mediatrix of all graces wrap Her Mantle of Purity, Protection and Love around all of us, so that we may be Jesus’ Light in the world, especially to family and friends, and to everyone. Gracious Mother Mary gives us the same grace to carry our cross with confidence, trust, joy, love and gratitude which you carried in complete perfection. Our Lady of the Miraculous Medal pray for us. 2. 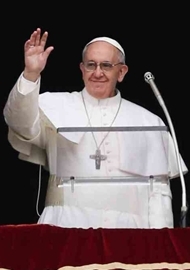 Praying that it will be God’s Will that Pope Francis will declare the fifth Marian Dogma very soon in his Pontificate, and through God’s grace the Pope will also establish a Year for the Faithful Departed and the Souls in Purgatory. Please pray for the health of my son D____, who suffered serious illness one year ago and is undergoing expedited tests today to rule out, we his loved ones hope, a recurrence. Kindly pray for Angela 7 yrs. has food allergy right from her childhood. Since 6 months she has no control on her bowls, she is bed wetting and passes stools. It is very embarrassing to her & her parents. She is in the IInd Std. Doctors say it is something to do with her psychology, she is under medication. Prayers for my elderly parents who are struggling in their marriage and old age. Kindly pray for Angela 7 yrs. has food allergy right from her childhood. Since 6 months she has no control on her bowls, she is bed wetting and passes stools. It is very embarrassing to her & her parents. She is in the IInd Std. Doctors say it is something to do with her psychology, she is under medication. PLEASE PRAY FOR MY 2 SISTERS AND BROTHER RETURN TO THE CHURCH ! Slow Recovery from the Death of Our Only Son & Other Ongoing Sorrows…. Thank you for praying with us in our long dark night of the soul! Recovery is very slow! Despite ongoing pain and sorrows in the recovery process we continue to stay at our Post in Faith and Hope with the help of your Daily Prayers and God’s Mercy! Please continue to pray(2013,2014..? )with us daily for Recovery! Recovery for God’s Healing,Protecting Peace and Hope in our Broken Hearts,Health Issues,Relief from Severe Financial Misery which is making our recovery next to impossible! Please pray! Please pray for God’s Peace! Feel free to pass Urgent Prayer Request on to other Communities(Women&Men)of Prayer that you know of in the World? Please pray for the successful outcome of my wife’s latest surgery. Continuously, we are falling sick. The more we are coming closer to the Lord, the more we find life hard.Faih is testing! Abba Father, pl. be merciful to the soul of JP,wash all members of our fly.in the Blood of Jesus, anoint us,make us strong & healthy in faith,in mind, spirit & body to serve & Gloify U in all situation with all heart,soul & Body.Be merciful & Bless our above situations, Amen! Please pray for unity in families and a gift of a child for my daughter. Please pray for my wife, Cathy, who is suffering terribly from sciatica, and is off work indefinitely with it. Please pray for my dear father who is in bad health, and suffering, and losing his Faith. Please pray for my sisters who have departed from the Faith that they may return to the Faith. Please pray for all of those weak in Faith that Almighty God will strengthen them and renew their Faith. Please pray for those hungry, lonely, suffering, that they may be fed and comforted. Please pray for the young brothers and sisters trying to discern their vocation. Please pray for me. I really,really need help. After eight years of battling with alcoholism and depression, I’m trying to get my life back, but everything seems so grey and empty now. I feel, I don’t have any purpose to live anymore. I feel lost and in despair now. Heavenly Father, please, enlighten me and show my way in life. Help me to find the job I like, the place I wish to live and please, give me the purpose to live. Also, please pray for my mother Dana, recently she had a stroke and very ill now. Father, please take care of my mother and help her to recover. 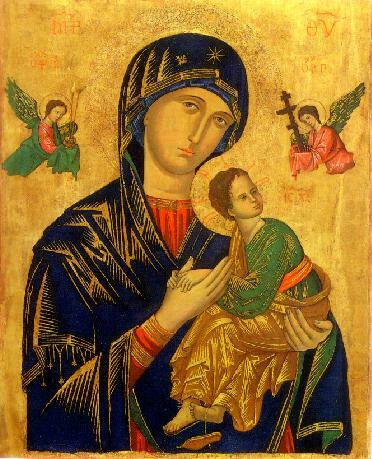 Please pray for the intentions of my son Trevor who was recently diagnosed with MS. May Our Mother of Perpetual Help in conjunction with Her Divine Son Jesus restore him to good health so that he may continue to provide for the necessities of life for his young family. Please pray for Edmund Adamus, laicised priest of the Cardinal Diocese of Westminster, formerly of the clergy of the Diocese of Manchester, and his wife and family, to Saints Michael, Joseph, and Mary for particular protection from the Holy Spirit against the satanic assaults of those seeking to lay assault to his Defense of the Catholic Faith in matters of Holy Matrimony against those who seek to destroy it, and particularly against the Heretics of ACTA. Please ask the Holy Virgin to provide an especial protection for his wife against the evils that they will seek to direct against her husband, and may God Bless their Marriage and protect it against all evil. Tim, dear brother in Christ, I am praying for you that our Lord will have mercy and heal you from alcoholism and depression. May the Lord bless you abundantly with renewed faith and zeal! And a job! May you be strengthened! And praying also for your mother, that she be strengthened. JabbaPapa, praying for Edmund Adamus and his wife. May the Lord bless their marriage, strengthen, and protect them. Patrick Walsh, praying for your son Trevor, may he be strengthened and healed, may his family also be strengthened, protected and blessed. Thank you so much for your prayers. Every word uttered in prayer to Christ and his Blessed Mother on my son’s behalf is welcomed with an open heart. I have great faith in prayer as Christ Himself said “seek and you shall find, knock and it shall be opened to you”. Amen!! I turn to you asking you to pray for my father (66 years old) who is suffering from colon cancer (with metastasis to the liver), which was diagnosed last year. A month ago, completely unexpected my mother, his wife died (61 years old) and since then he has been devastated. Please, I also ask you to pray for many sick people from my neighborhood. Please pray for my nephew Anthony D. in Tucson, Arizona. He is 22 yrs. old, trying to finish college, and he just got a job w/the Fire Dept. [He has has however a problem w/alcohol, and joined A.A.]. Please pray that God will bring him healing from addiction, and strength to remain sober. He is a really good and hard working young man, and has had to deal w/childhood trama, which only makes it harder. May Jesus heal him, and Mary and Blessed Pier Giovani Frasseti pray for him. THANKS! Please pray, through the intercession of Blessed Jose Luis Sanchez, God will heal my friend, Sara. After visiting doctors a number of doctors over the past year, she has finally been diagnosed – she has bone cancer that has spread to our lung and glands. She is a beautiful child of God, works diligently in church ministry and is a great wife and mother. We need her doing Christ’s work. I’m a sinner and a tormented person and ask you all to pray for the salvation of my soul and for eternal peace. I have 2 grown children and I ask you all to pray for them. God help me. I ask that you pray for my 82 year old Father who is in a difficult situtation right that he sees the light and makes the right decision. pray for me and for my mother, pray for our physical healing from diseases that we are making life impossible, help and support us with your intercession with Jesus, He is good and merciful. We offer our lives to serve Him in joy, in good health and peace. With all the faith that God has given me and that I hope will increase trust in the powerful name of Jesus and His will to heal us. May God bless all our activities, work gifts to the members of my family who do not have jobs and aid our finances, we need the blessing of God and His deliverance from the devil, from evil people and evil that hinder all our activities, cause divisions in society and in the community, causing quarrels and above would prevent us from keeping the commandments of God with their attitudes. God intervenes in our lives and heal my entire family, transform our lives and give us the discernment to choose what is right and what is good, you give us strength, success and love. Thank you, God bless each of you. Pray for my married son who is struggling with self confidence and work stability. May His grace touch his heart and help him in these difficult times. Praying for your son worried mom. May the grace of God touch your son’s heart. May He bless him with confidence, work stability, strong faith and blessings. May God also bless you with peace in your heart for your son. Please pray for God to give me strength and willingness to overcome my addiction to alcohol, and that I will have greater faith and commitment to the church and to my fellow men. Please pray for my family to accept me as who I am and for me to be able to excel more in my studies guide and protect me always,prepare me in all the things I will do especially thing that is in need of memorizing and understanding Amen. Please pray for the repose to the soul of Fr Lawrence who, at the age of 97, died on Saturday 16th August. Please pray for me and for my family that our Lord Jesus Christ may bestow His divine mercy on us, grant us His divine favours, protection, good healthy, and divine direction in all our plans and purposes to the glory of God, amen. Please pray for my marriage. May God send His healing touch upon our hearts to renew our love for each other and give us each the strength to commit to reconciliation, in Jesus name I pray. Our Son’Death happened on my wife’s Birthday,August 24th. a few years ago? So it is a painful reminder of great sorrow and the way the death happened?On top of all the Other Sorrows and Hardships we are enduring at present! PLEASE PRAY DAILY FOR GOD’S PEACE AND PASS ON TO OTHERS IN THE WORLDWIDE COMMUNITY OF PRAYER?URGENT! PLEASE PRAY FOR GOD’S PEACE IN OUR BROKEN HEARTS AND LIVES!! Thank you for praying with us daily and for the long term? 2014,15..? Kindly pray for infilling of Holy Spirit and conversion of Mr. C. & few his unGodly people who are harassing employees(with families dependent) so much that they are totally shattered and depressed, they cannot look for another job too. Your prayers for my beloved? Major and difficult surgery, Tuesday, the Memorial of Our Lady of the Rosary. Propitious. Until retirement, the senior O.R. charge nurse in our hospital (like a UK matron, I think) and so has been able to assemble her ‘dream team’, but that God guides their hands and minds is what I ask for. Jude has some unGodly Senior people in the Office harassing Jude and want to take away Projects that Jude is working, with the result his job/future in danger. Today is the Meeting about this matter with his Seniors. The more I pray the more & more problems we have to face. It is very sad that Jude hasl lost faith and does not pray. Please pray for my colleague Ralph who has just lost his son. Thank you. Not strictly a prayer – at least I hope not – but our friend Jabba, who stayed with Toad on 21st Sept, and who set out for Santiago from here apparently all right – has nor been heard of since, and his brother is getting worried. If anyone has heard anything, please let me (us) know. I am trying to transfer into Notre Dame as a sophomore. Please pray that I may be accepted into the university and fulfill my dream. Please pray for EF Pastor Emeritus – The Bones has the details. Please pray for Jessica Hoff, who has been a good friend to this blog since we began. My father Rudy has a rare gallbladder cancer. Please please join me in praying for my father’s well being, for him to be completely healed. I am also praying for my father’s spiritual side, praying that he will let the Lord work in his life and follow God’s words and be able to entirely surrender to the Almighty and that he will live for so many years and share to people of God’s blessings and goodness. Please pray for him. Pray for my mother, please. She has heart disease and blood circulation problems. She very ill and weak now. Please join me in prayer for her, in Jesus mighty name. Please pray for my husband who thinks that he has not turned his back on Jesus by leaving his wife and children to pursue his wants and desires and says he feels happy and at peace and wants me to be at peace with him. Please pray that the Holy Spirit creates a clean heart in him. Thank you. Andrew Sullivan’s blog ended today after 15 years of unceasing work. Whatever your opinion of his Catholic faith, please pray for him and all others who devote their lives to writing. I hope we can all simply look back at the journey, and the laughs we had, and the pain we lived through together and the love that sustained us as a team and as a community, as we struggled together to figure out the truth about the world. Please pray for John, a greatly valued contributor to CP&S, as he is received into the Church this Easter. May God bless him and Our Blessed Mother protect him as he grows in faith, hope and love. Please pray for my financial situation and the jealousy and envy at my work. * my children that they settle into their new school in a new state. * friends who have betrayed and wounded me. * justice in the church – that whistleblowers & victims of abuse & bullying will be heard and supported; instead of punished & rejected & falsely accused. * my ongoing depression & anxiety – to be healed! * my faith – to be strengthened & for our family to find a spiritual family to belong to – attend mass weekly. * my loneliness to be gone as I make more friends. Pray for Peace, good health and happiness, that my husband’s promotion may come true. Pls pray for me and my partner and our baby. He does not show any love and care for me and our baby.We dont leave as a family anymore and i am so worried. Pls pray for my partner. He does not show any love and care for me and our baby. He doesn’t have time for us and isolating himself from us. I am praying everyday and i ask for prayer too. Pls pray so that my partner will change his bad ways to be a good person. Please pray for my Son Jesse he suffered with schizophrenia! Please pray for my partner and for our relationship that we may forgive and start a new beginning, May we have our faith back and be strong to any difficulties that may come as we prepare to have our new journey with God. And May God heal our wounded hearts so we can move on and accept one another. Please pray for me to get the job I am praying for. Please pray for my son Niles be employed by the PNG Government Printer promptly, Selin be given a place to continue grade 11, Euginnie be selected to continue grade 9@ Bishop Leo Secondary School, my DSA claims be paid by the beginning of next year 2016 and my health condition be improved by replacing the body organs. I ask this prayer in Jesus Mighty Holy Name. Amen. Please pray for my husband who will start his new job in January 2016. Please pray that I can take care my little toddler alongside my other duties. Please pray for my struggle to complete my study too. Please pray for me to pass and top the Board Exam in Medical Technology this coming March 9 and 10, 2016. Thank you. Please pray for me to gain a full scholarship for masters study. And my the benefits of the grad degree be to the glory of his name. Please pray for my beloved husband, Francisco, to be totally set free from all his addictions and sinful lifestyle, return to the Lord, the sacraments and his marriage. Let us all pray the Holy Mother Of God Rosary with your families. Also we should go to church and burn a candle and pray Our Father and Holy Mary prayer. And do penance and mercy. May we also ask for more blessings so we could share it with others. May the Holy Spirit guide us all and we pray that all souls go to heaven especially those needed if they mercy. God Bless. Holy St. Michael, in the all powerful and Holy Name of Jesus, Grant your wings of protection. upon my brother Gerard and his daughters. Defend them from the all evil one, Satan whose universal attack is to destroy holy and Catholic marriages. Holy Archangel we honor and Love you.. May Tammy his wife be brought to conversion, and consciously recognize her own faithlessness. Through Christ our Lord. Amen. Please pray for the most needed souls of the Purgatory, that God in his everlasting Mercy release them and bring them to heave where they will be worship him for ever and ever. . Please pray for me for strenght to face all these trials in my life..im depressed. 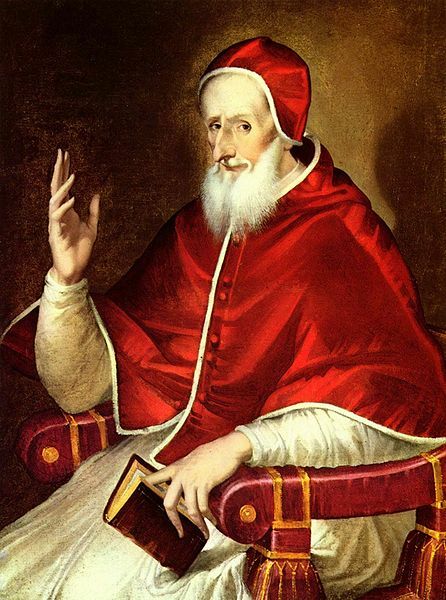 Please pray for me, a wretched sinner in need of God’s enduring mercy, that I might be able to walk without offending His Majesty so regularly, and that I may receive all assistance in maintaining chastity according to my state of life. Please pray for my mother, Linda, and my brother, Ronnie, that the Lord might be merciful towards them and touch their hearts, bringing them into His holy Church. Please pray for my beloved mother, Lucia, who after a life of much suffering and ill health is now on the final stretch of her journey with secondary bone and brain cancer. May the Lord help her carry her cross and may Our Lady comfort her in her trials. God knows she brought you into the world and to His Church, so all is well. Please pray for healing for my daughter. She has hives all over her body. They gave her Benadryl and prednisone at the ER that helped the swelling in her eyes go down but not the rest. She is going crazy with the itching. They don’t know what is causing it. She has to go to an allergist and wait over a month for an appointment. She is in PA school and doesn’t know how she can function. Please help me pray that I have a computer to enable me to work online. I have been out of work for the past two years already. Please Pray for my application in magsaysay for housekeeper in japan country, that’s fast, continued and successful. We can get good employer. For the physical healing of Caroline Marie Gavin’s many illnesses, and through the intercession of Mother Mary, all those who are involved with The Skeptics Society, who produce Skeptic Magazine becomes converted and miraculous transformed, so that they will be zealous promoters of truth and bring the truth to many. In your charity, please pray for the repose of the soul of my beloved mother, Lucia Maria, who went to the Lord peacefully and after much suffering on 27th June, feast of Our Lady of Perpetual Help. mmvc: May God bless you and your family at this time of parting. Please pray for the miracle of conversion for Eric McDonald; Eric needs your prayer help!!! Please pray for my health. That God will heal me and that I’m able to go back to work. For the health of my family. For the souls of J. P. and N. I ask this in the name of Jesus. Amen. Thanks. Jesus, I trust in You. ST MARTHA I GREET AND PRAY TO YOU TODAY YOUR FEAST DAY.PLEASE HELP ME WITH MY DIFFICULTIES AND PROBLEMS WITH MY FAMILY SPECIALLY TRACY.HELP ME TOO IN DEALING WITH MY MOODY HUSBAND,MOST OF ALL OUR FINANCIAL DIFFICULTIES.HELP US FIND MONETARY RESOURCES TO MEET OUR BILLS AND OBLIGATIONS AND KEEP OUR HOME AND DO MUCH NEEDED REPAIRS SO LIKE YOU, WE COULD INVITE JESUS IN OUR PRAYERS.THANK YOU ST MARTHA AND WILL KEEP ON PRAYING YOUR NOVENA. Please pray for my Priest Brother to remain strong in his Vocation always and his love for Mamma Mary increases. Please pray for me as I am have asthma and at present have a chest infection which I find it hard to breath especially at night time. Please pray for faithful priest, Fr Gary Dickson, of the CATHOLIC COLLAR AND TIE blog. He is in hospital and seriously ill. See HERE and HERE. In your compassion pray for Lily and her husband, children and 2 very young grandchildren in Kota Kinabalu, Sabah on the island of Borneo. A Catholic family and close friends of mine for 43 years. After surgery a few years ago for breast cancer and chemotherapy there is now a tumor on her brain. Please pray for my daughter, Michelle, and her children. Health, spiritual, and financial difficulties. Please pray for my grand daughter, she is 4 yrs. old has arthritis and problems with her arteries of the heart. right now she has an inflammation in her eyes from the arthritis.Dear God if it is your will,please heal Ava, in Jesus’s name.thank you. pray for Dene and Steven Culton to have a baby. Prayers for conversion of sinners whereby Salvation and protection from unabled offenders. With respect, R. Maher, I clicked on your avatar thinking you were seeking a prayer for personal reasons, but I see you wish to make a political point. I don’t think this Prayer Intentions sub-site is meant for that. Please pray for me & my family.We have been given a fourteen day’s (14) notice w.e.f 5th March 2019, to pay $250 dollars for mortgage arrears,and my salary isn’t even 1/4 of it.My husband is a hustler and he too cannot afford.We believe that God will make a way for us so that we can pay the money before they institute a legal action against us.